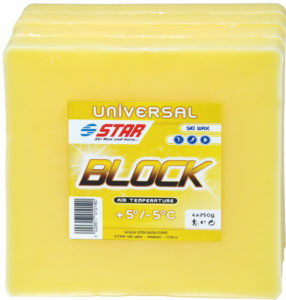 BLOCK: Universal wax in block format 135x135x15 mm for laboratory use and for wax machines. Economical price and excellent quality, no smoke and less odor. Package of 1 kg (4 pieces of 250 g). UNIBLOCK: Soft universal wax, easy to apply, and suggested for keeping skis waxed between races and during inactivity or for transportation. 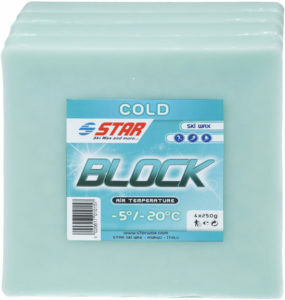 This economical, yet high quality wax has a low melting point for easy application, and is supplied in four practical 250gr. cakes. 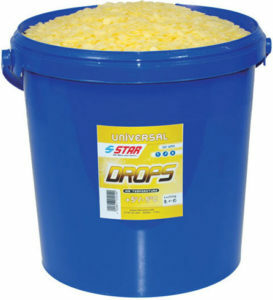 DROPS: Refined universal paraffin in drops without oil or aromatic compounds, packaged in handy re-closeable 5 kilogram buckets, perfect for waxing machines. 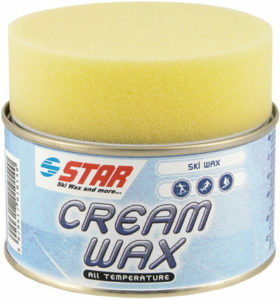 CREAM WAX: Universal Fluorinated paste wax for cross-country and alpine skis in all snow conditions. 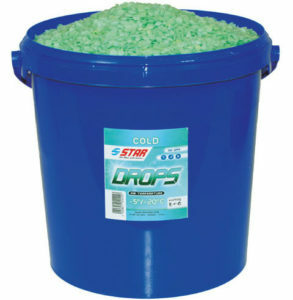 Very fast and easy to applicate this wax should applied and polished with a sponge or soft cloth. 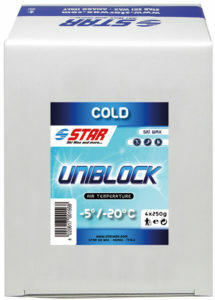 GEL WAX: Universal solvent base fluorinated gel wax ideal for ski schools and laboratories. Indicated for every snow condition, permits fast and easy application with excellent long lasting gliding results.